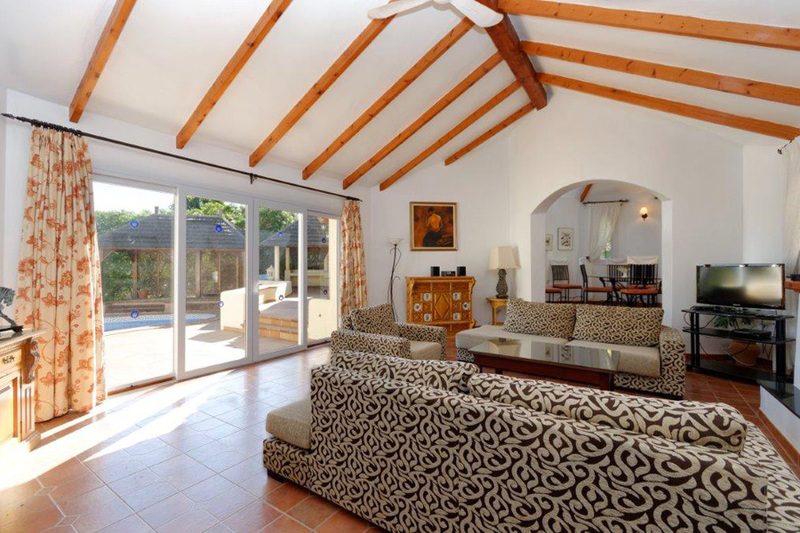 Fabulous five bedroom detached villa, on the North Course, modern, large private pool, terraces and garden. Free wifi. 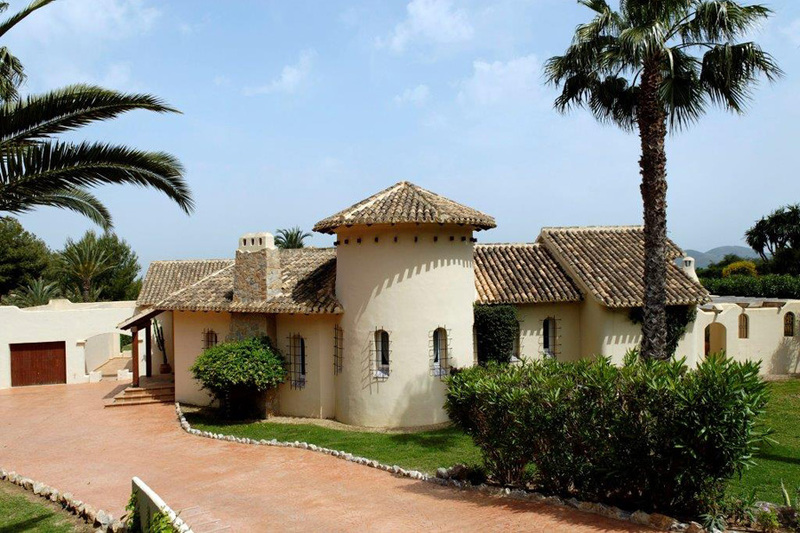 This fabulous spacious detached Individual five bedroom villa is in a quiet location on the North Golf Course at the famous La Manga Club Resort and near the facilities at Las Lomas Village. 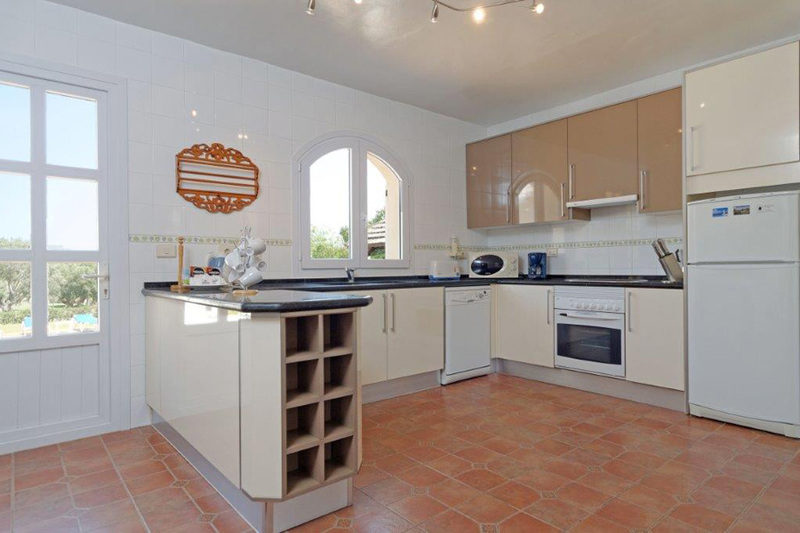 Situated on a fabulous large plot which backs onto the golf course. 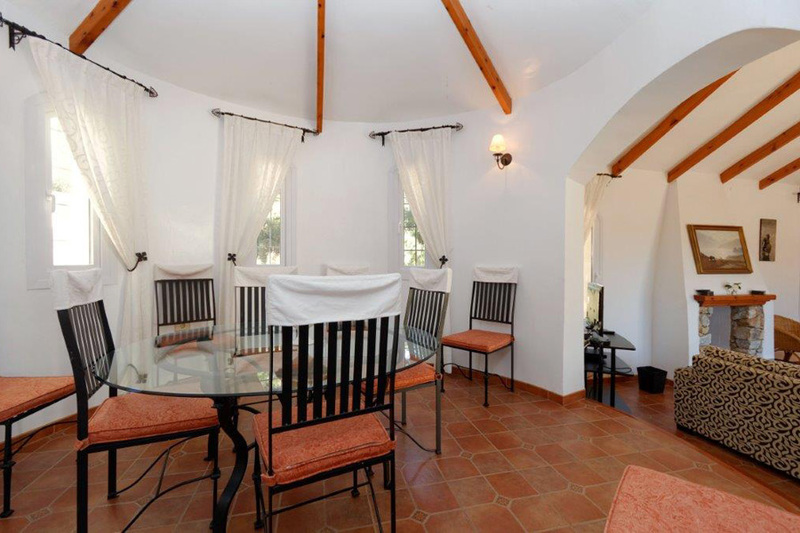 It has beamed ceilings and rustic style floors throughout. 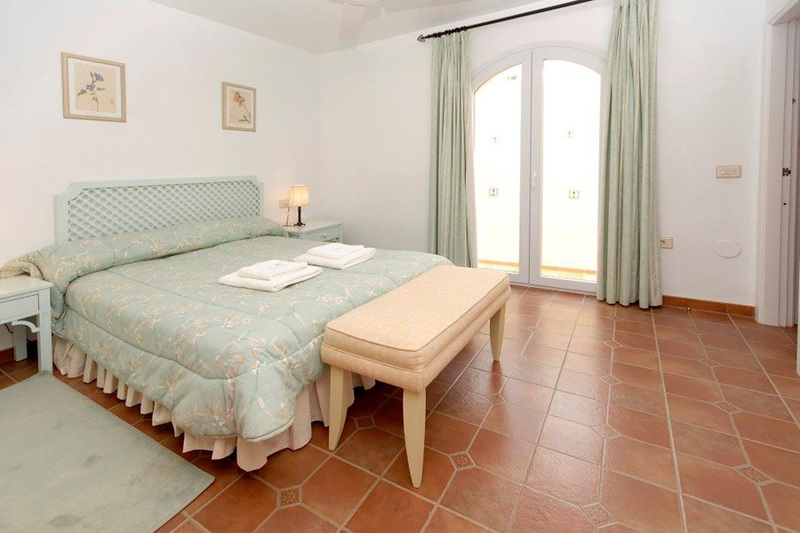 The villa is well furnished and equipped. There is free wifi internet access. The lounge has satellite TV, DVD player and hi-fi. There is a raised dining area off the lounge. Patio doors from the lounge to the private pool and the terrace with outdoor dining facilities, pergola and built in barbecue. There are views across the golf course. Beyond the terrace the garden is laid to lawn. 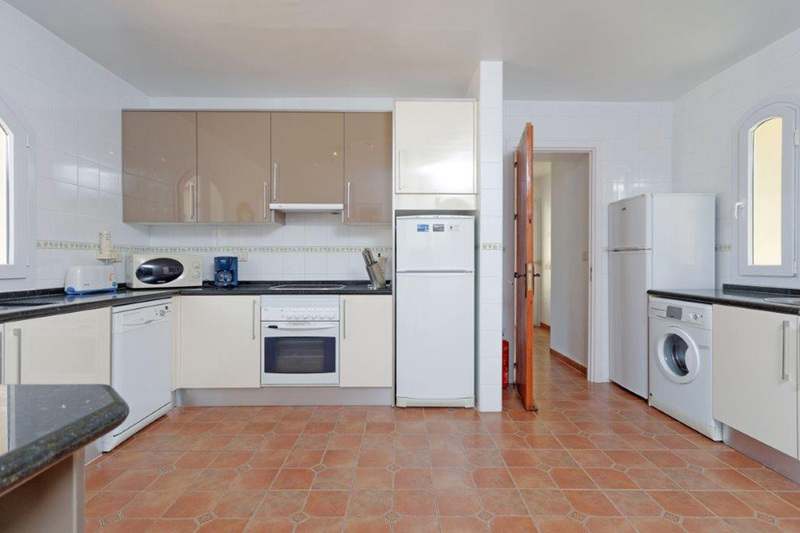 The kitchen is well equipped with washing machine, dish washer, microwave, oven, hob, extractor fan, fridge freezer and coffee machine. 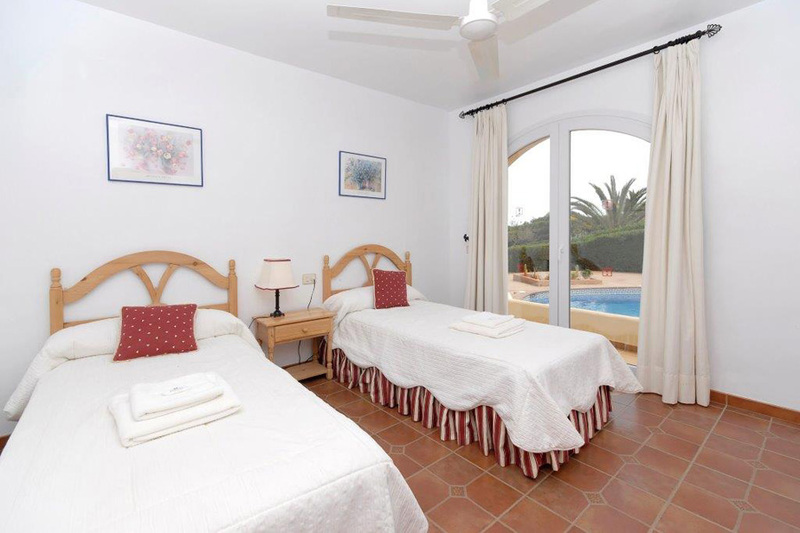 The master bedroom has twin beds which can be made into a double bed if preferred and an en-suite shower room with twin wash basins. 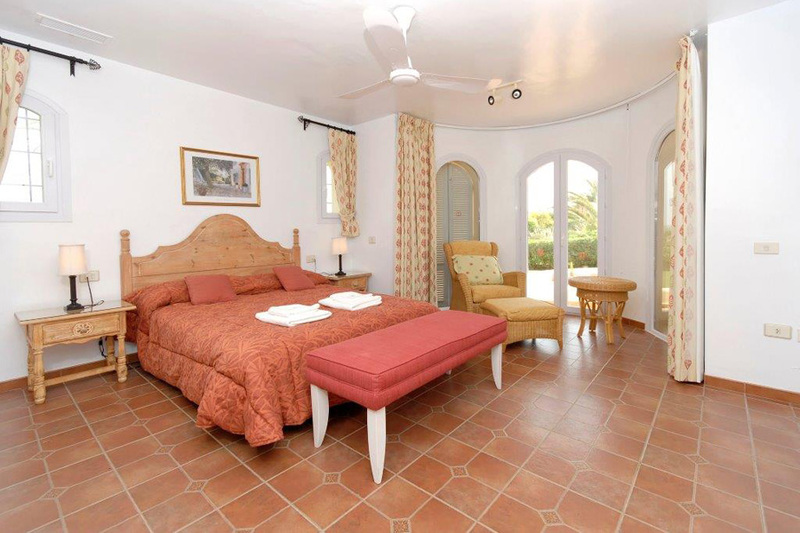 The second bedroom has a double bed and an en-suite full bathroom. 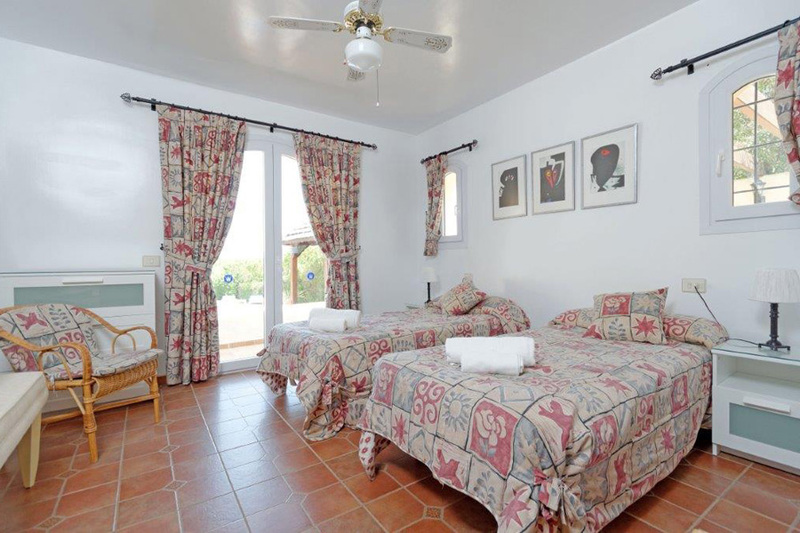 The third and fourth bedrooms have twin beds and share use of the separate full bathroom. 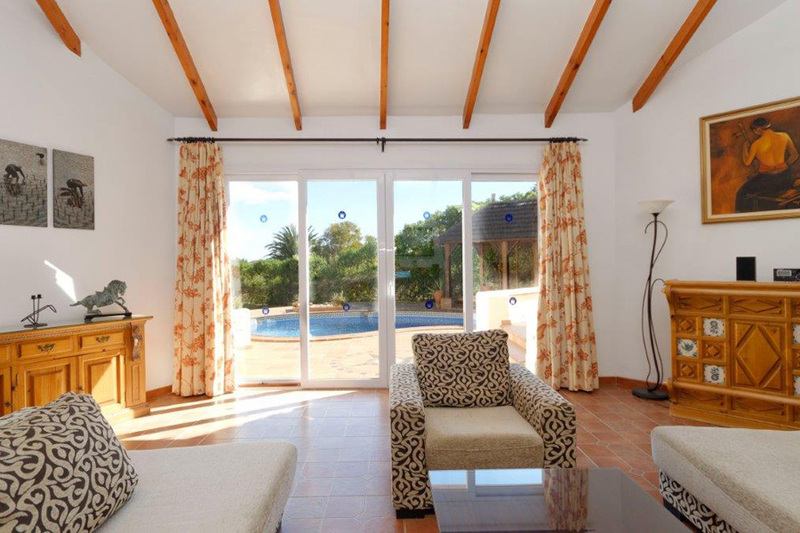 Patio doors in the second and third bedrooms lead to the pool terrace. 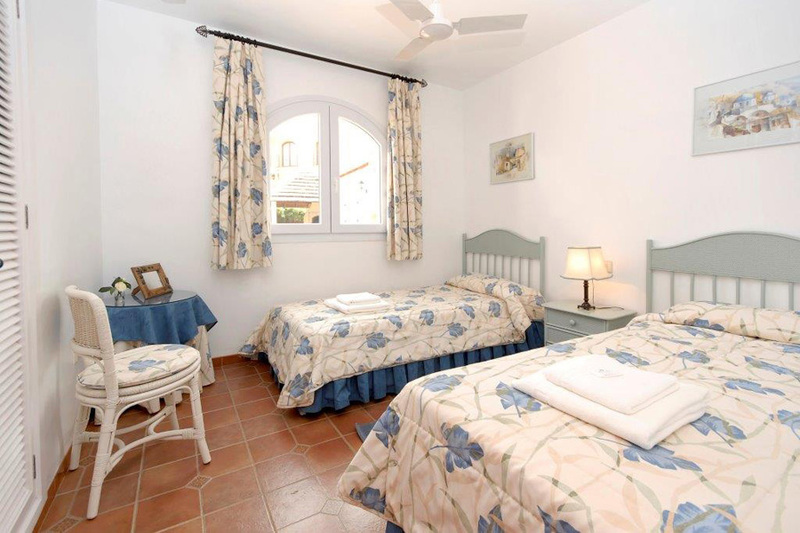 The fifth bedroom also has twin beds and use of the separate shower room, both of which are located in a part of the house which is accessed through the kitchen. 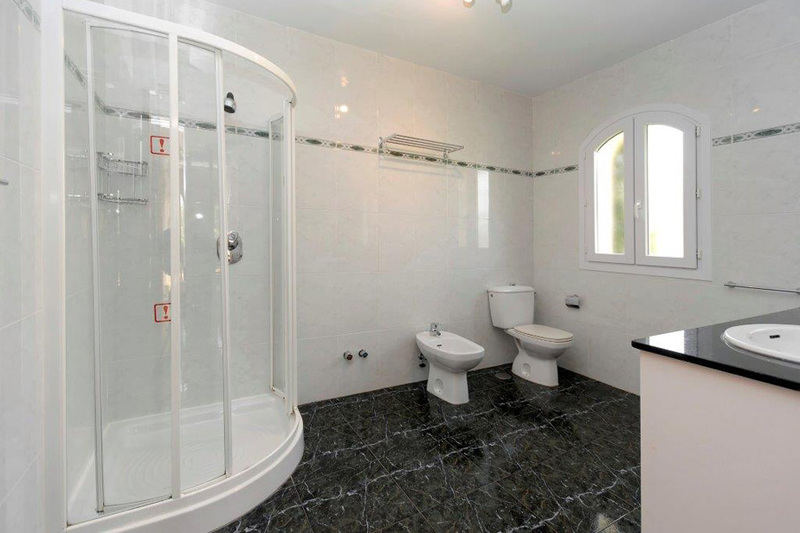 This bedroom suite also has its an independent entrance from the exterior of the house. All the bedrooms and the lounge have ceiling fans in addition to the air conditioning. 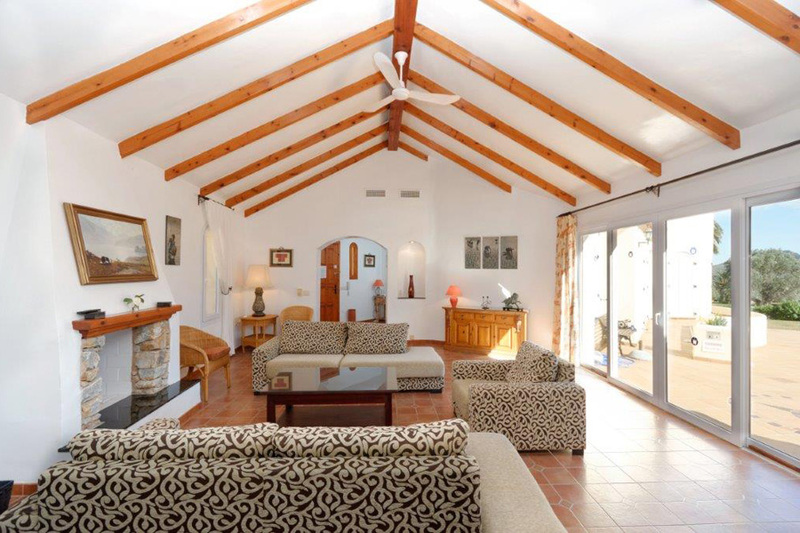 Detached large villa in La Manga Club Resort, fully air conditioned. 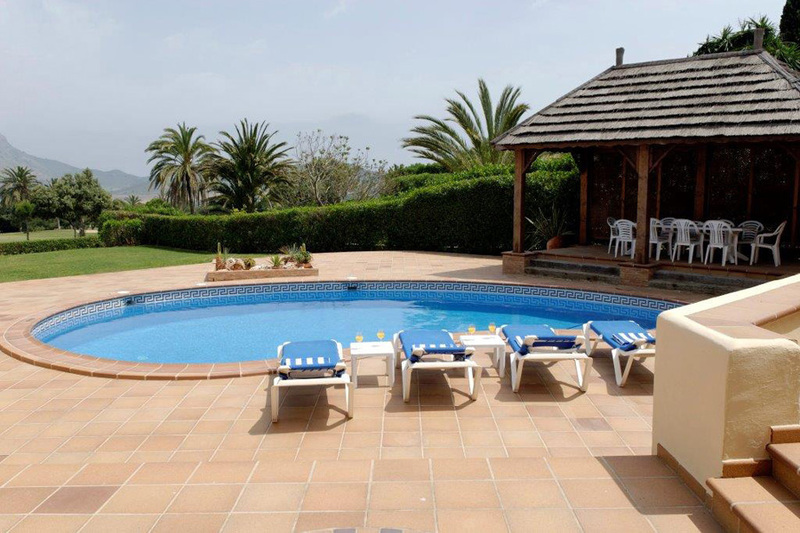 Private pool and large lawned gardens, private terraces and barbecue facilities, North Course views. Spacious accommodation all on one storey.